We are entering an exciting age in Wi-Fi technology and the newest and most important abbreviation you need to know is MU-MIMO or Multiple-user Multiple Input Multiple Output. It’s a new technology that can improve overall wireless network performance and it does so by transmitting data to multiple devices at one time (more on this below). Actually, MU-MIMO routers are not entirely new. 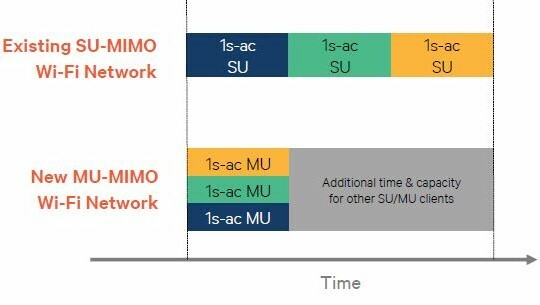 The first wave of AC2350 and AC2400 routers were all advertised as MU-MIMO ready. Why “ready?” That’s because while the hardware supported MU-MIMO, the firmware wasn’t yet ready as there was a lack of compatible devices in the market. 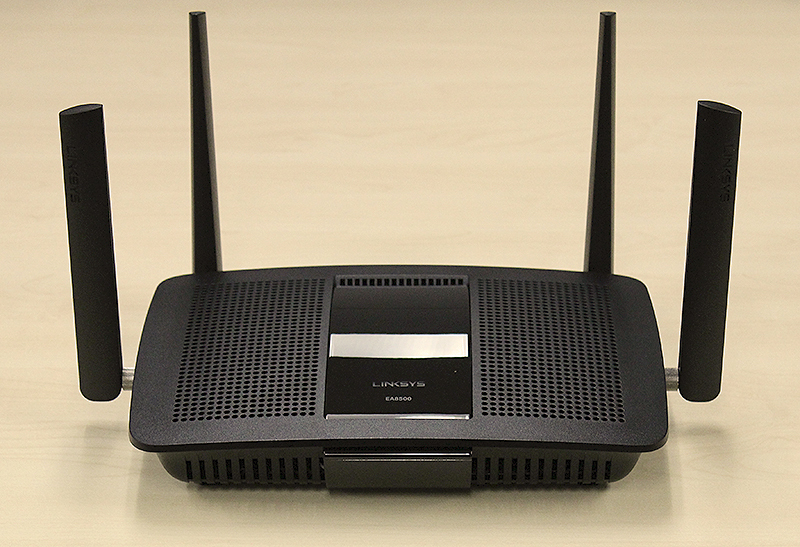 Routers like the ASUS RT-AC87U as well as the Linksys EA8350 were technically capable of supporting this new tech. However, even until now, the firmware to enable MU-MIMO support is still not ready for prime time. On the other hand, the latest Linksys EA8500 MaxStream AC2600 MU-MIMO Smart Wi-Fi router (a veritable mouthful and therefore known simply as the Linksys EA8500 from this point on) suffers from none of those problems. In fact, it is the first consumer router in the world to ship with support for MU-MIMO technology right out of the box. 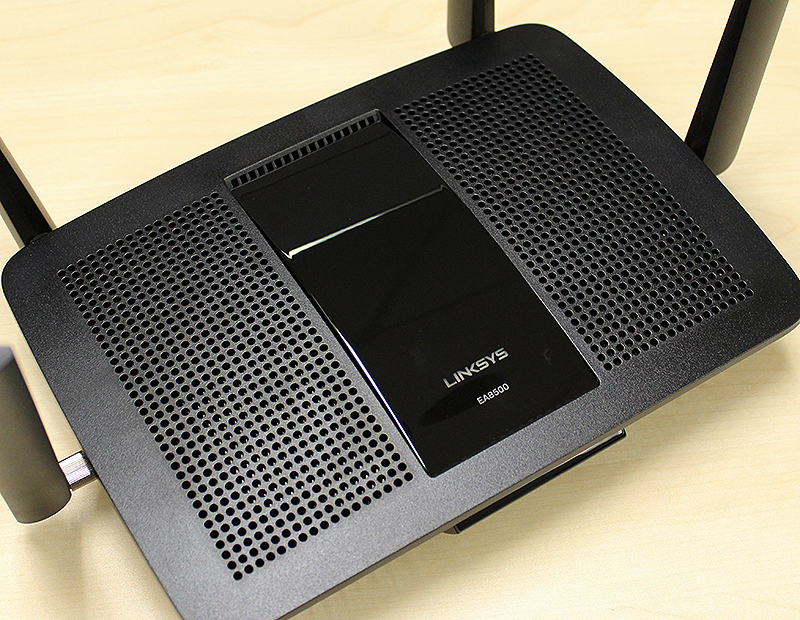 Before discussing the Linksys EA8500, it is first necessary to talk about MU-MIMO. It’s a topic we covered in our guide to wireless 802.11ac networking, but it is worth going over again here. In any case, you should also check out the guide to get up to speed on all the latest developments in the wireless technology space. Let’s start from the very top. MIMO refers to Multiple Input Multiple Output and refers to the use of multiple antennas at both the transmitting and receiving ends to improve wireless performance. Using multiple antennas to transmit and receive data improves reliability and speed. And today, all modern wireless devices make use of MIMO. This is why you sometimes see routers or client devices being referred to as 1x1 or 2x2 or even 3x3 devices. The first number denotes the number of transmitting antennas, while the second refers to the number of receiving antennas. 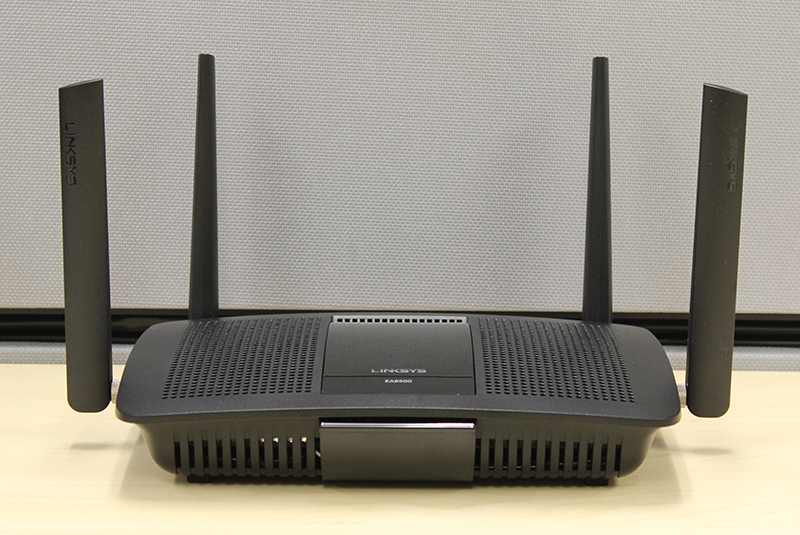 For the most part, most routers and client devices use a symmetrical design. However, the next part is unknown to most users and it deals with how most routers in the market today work. The vast majority of routers in the market in the market today are SU-MIMO only or Single-user Multiple Input Multiple Output. As hinted by the name, SU-MIMO technology can only transmit to a single user at a time. 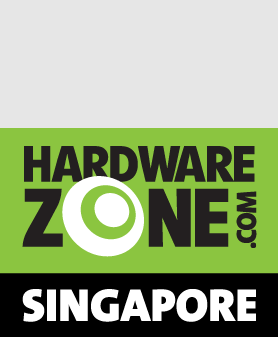 This is why performance degrades rapidly as more and more devices are connected to the router. The router has to quickly serve one device and go on to the next, and if there are many devices connected, the “waiting time” is increased. Because SU-MIMO technology restricts transmission to a single device at any one time, the Linksys EA8500 router without support for MU-MIMO would only be able to transmit 433Mbps when it is time to transmit data to the handphone or tablet, which also means that the remaining bandwidth goes to waste. Likewise, when transmitting to the notebook, the remaining 867Mbps is unused even if theoretically there is sufficient bandwidth for additional devices. This becomes even more damning when more and more devices are added to the network, as the length of time of time it takes to complete a full cycle and serve all devices becomes longer. This is where MU-MIMO comes in and you will soon see how it is a significant step forward in wireless technology. 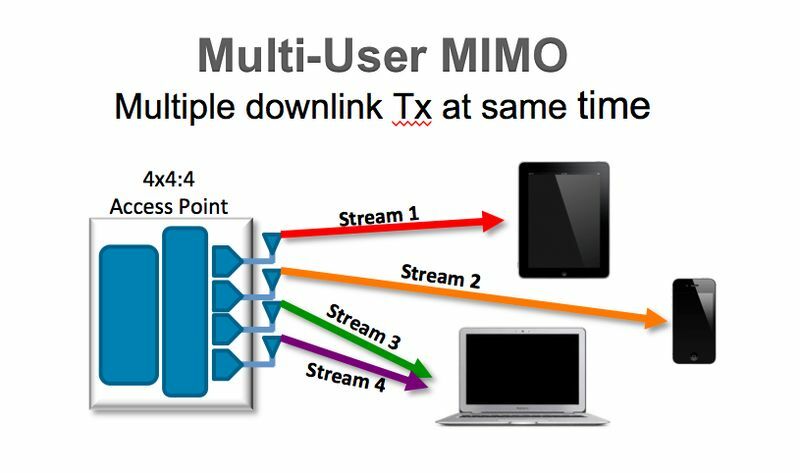 Using the same devices above as an example, MU-MIMO allows the router to transmit data to multiple devices as well - hence the “MU” or Multi-user. What this means for the Linksys EA8500 MU-MIMO-enabled router is that it can make full use of its 1733Mbps bandwidth to transmit data to the handphone, tablet and notebook simultaneously with no need for waiting in between. The technology is promises to greatly improve overall performance, but biggest downside to MU-MIMO is that it requires clients to support it too, and it is not just a matter of a simple patch or firmware update. This means that few existing devices will support MU-MIMO unless they were already equipped with the latest wireless adapters. Some examples of devices that claim to support MU-MIMO at this point are Xiaomi’s Mi 4i smartphone and Acer’s new E series notebooks. 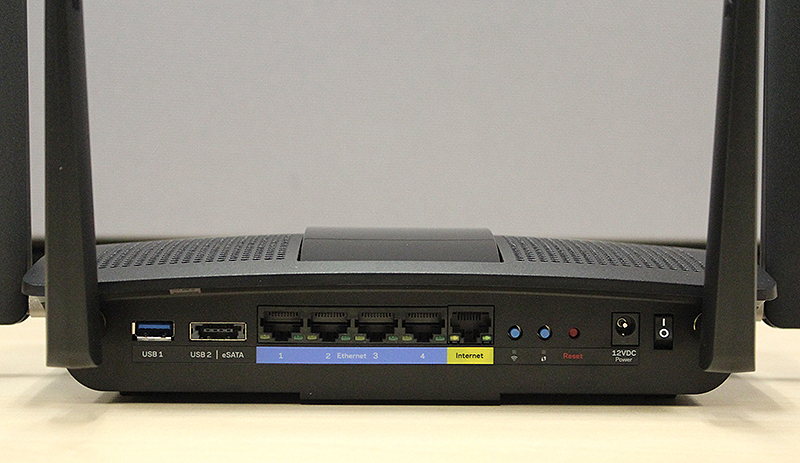 At first glance, the new Linksys EA8500 router bears more than just a passing resemblance to the older E8350 router. Indeed, their cases are almost identical, with the only notable differences being the EA8500’s considerably larger antennas, all-black design and lighted Linksys logo on the front panel that serves as a rudimentary status indicator. Like the E8350, the EA8500’s chassis is a potpourri of holes and vents. And like the E8350, the EA8500 router looks a little boring and dull, especially when compared to routers like the D-Link DIR-890L router and even Linksys’ own WRT routers like the recent Linksys WRT1200AC router. Its looks really doesn't hint at the cutting-edge wireless technology that it possesses. However, it is rather compact and takes up a slightly smaller footprint than most of the new high-end routers that we see today. Behind the Linksys EA8500 router, users will find the usual assortment of ports that are on all high-end Linksys routers. There’s a single Gigabit Ethernet WAN port and four Gigabit Ethernet LAN ports as well as a single USB 3.0 port and a USB 2.0/eSATA combo port. There’s also a button that lets users instantly turn off the wireless network and also two other buttons for WPS setup and for router reset. Inside, the Linksys EA8500 shares the same processor as the E8350, namely the 1.4GHz dual-core Qualcomm IPQ8064. It also has the same 512MB of RAM and 128MB of flash. However, instead of Quantenna’s QSR 1000 chipset, the EA8500 router uses Qualcomm’s QCA9980 MU | EFX chipset on both 2.4GHz and 5GHz radios. This new chipset supports up to four spatial streams on both frequency bands, thus enabling up to 800Mbps on the 2.4GHz band and 1733Mbps on the 5GHz band. More importantly, this is the first chipset to support MU-MIMO technology out of the box. The Linksys EA8500 is branded as a Smart Wi-Fi router and so features Linksys’ Smart Wi-Fi user interface and software stack. We have mentioned previously that this is arguably the most user-friendly setup interface in the market and that has not changed. If you have used any other Linksys Smart Wi-Fi router before, you’ll know what to expect. For those unfamiliar with Smart Wi-Fi, it offers a good balance of ease of use and control, and offers features such as traffic monitoring, QoS, parental control, cloud storage and more. A lot of thought has gone into the design and an example would be Linksys’ QoS management system, which gives users the option to prioritize connections based on devices as opposed to simply just specifying applications and the ports they use. This is both easier and considerably more practical for most users, and is something that we are seeing rival router companies beginning to implement in their own setup user interfaces. 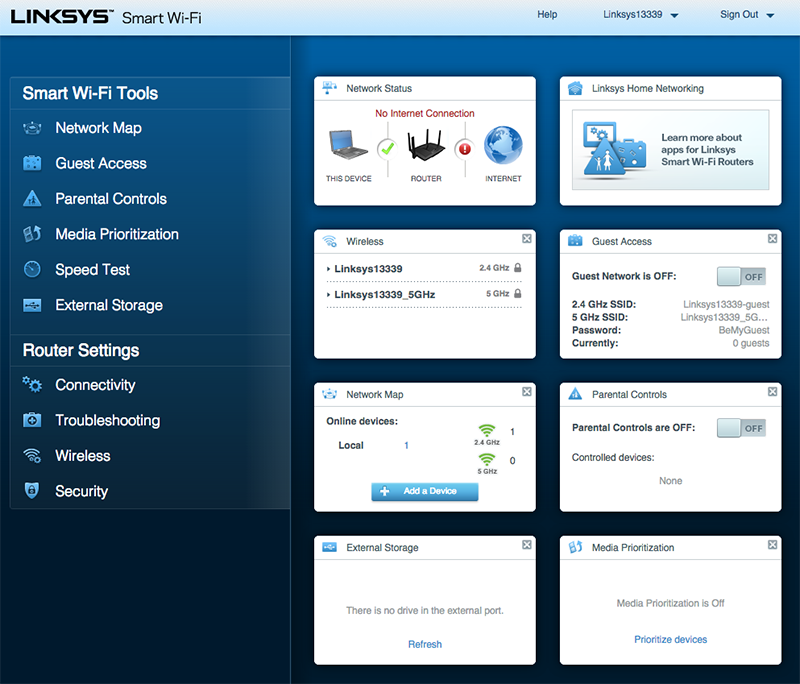 Linksys' Smart Wi-Fi also lets you remotely control and access your router. This can be done in two ways: via the Smart Wi-Fi app that is available for free on both iOS and Android, or online through the Smart Wi-Fi portal. Both will let you remotely control and edit your router settings, change passwords, enable Parental Control, view IP cameras and even access content on external storage devices connected to the router. This can be useful especially if you need to troubleshoot your home network or even change its security settings while you are away. On paper, MU-MIMO looks mighty promising and could have the potential to greatly improve our wireless networking experience. But does it fulfill on its promise? We tell you in the next page!